Stoneworks’ parent company, Construct Unlimited, has been in operation since 1988 and began in general contracting. Through the years, C.U. has worked through and solved many challenges in construction. Ultimately, C.U. found that the area in most need of improvement was concrete and that it would eventually become the specialty in which the company would find its “nitch” and spawn off a higher level of quality and professionalism. As a result, Stoneworks by Construct Unlimited was founded. Stoneworks has since amassed a collection of many beautiful residential and commercial concrete overlay projects covering over a million square feet. Stoneworks’ primary goal for concrete solutions was to find a product or system that would not only greatly improve the appearance of dull ugly concrete, but that would also prove to be an extremely durable and cost-effective alternative to stamped concrete or buying expensive real stone. Although concrete coating (overlay) technology has been around for over 30 years now, it has only reached today’s level of awareness and popularity from about the last 10 years. Thus, the past several years have shown an ever-increasing demand for concrete coatings, stains and pool/rock forms by both residential and commercial clients. Through many hours of invested research, testing and training, we have found that our concrete coatings (overlays) and acid stains out-performed our every expectation. 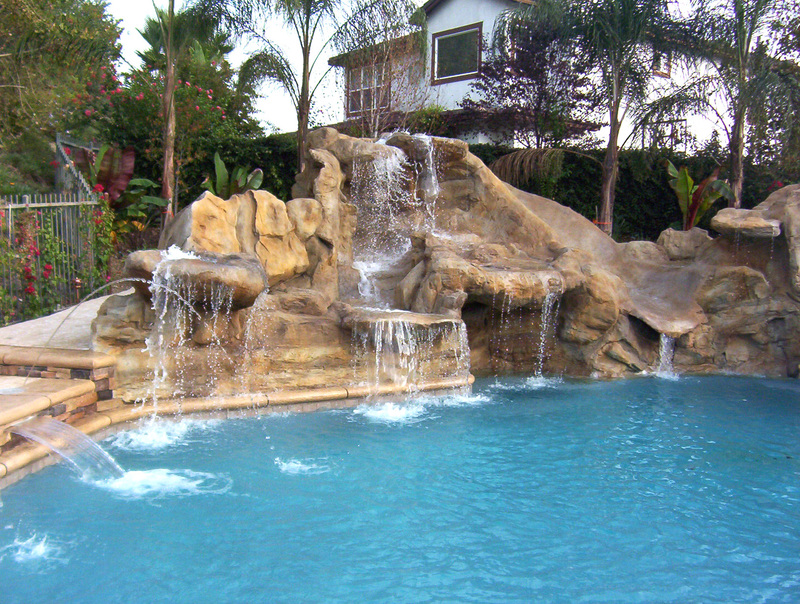 In addition, Stoneworks offers a wide selection of standard to modern rock pools, spas and water features.Stoneworks continuously finds enormous gratification and pride in being able to offer an array of cost-effective alternative solutions that has helped so many of our customers fulfill their dream yards, pools and spas much sooner than they ever thought they could. We invite you also to discover and browse our website through the many different samples of projects and workmanship. Please feel free to contact us at (855) RAD-FLOOR or (855) 723-3566 or by email atemail@stoneworksconcrete.com should you have any questions.